What types of lights do you have in your kitchen? Do they make a design statement or simply do a job? Kitchen lighting is one of those things that needs to do double duty. 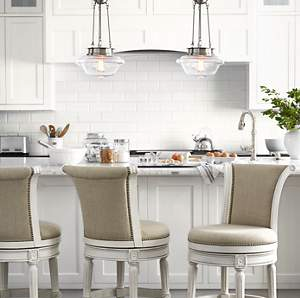 Your kitchen definitely needs the right kind and amount of light to illuminate your work space. With all the prep work and cooking you do – not to mention the homework and work that might be done at the island – you need lights that provide an abundance of light to work by. Your kitchen is where you cook, clean, and eat – making it a key area for lighting. But that doesn’t mean that you can’t have something that also brings a beautiful design statement to your space as well.One with a color that matches or accents your kitchen colors with a certain flair, or maybe something vintage that is on trend and fits in perfectly. Whatever the look is – you can illuminate your space beautifully with a with attractive and useful kitchen pendant lighting. Some of my favorites are surrounded by a beautiful colorful shade. 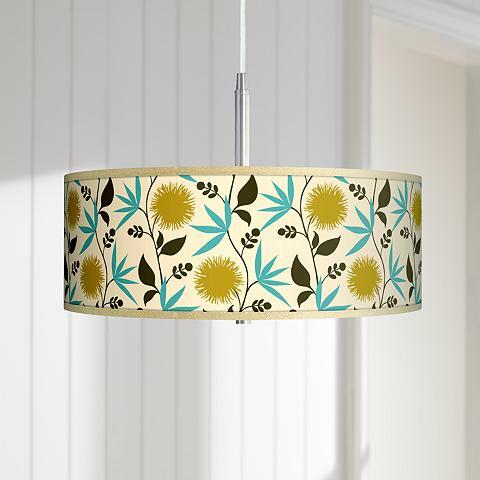 The addition of the right shade can add a lot of personality and charm to your lighting. If you’re unsure of what to get, consider a custom-made giclee shade, which are offered in a wide variety of colors and styles. Personalize your pendant lighting with custom-made giclee art shades. Want something that makes a stylish statement? A rustic pendant light can bring old-fashioned charm and nostalgia to the room, and is sure to draw comments from guests and visitors. 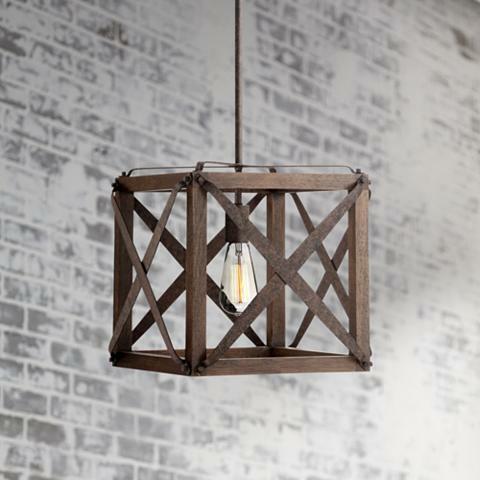 Rustic-style pendant lights bring out the feeling of old-fashioned nostalgia. Something on trend with kitchen designs that have a simple vintage look is an industrial style pendant light, which often come in handsome bronze or galvanized metal finishes. 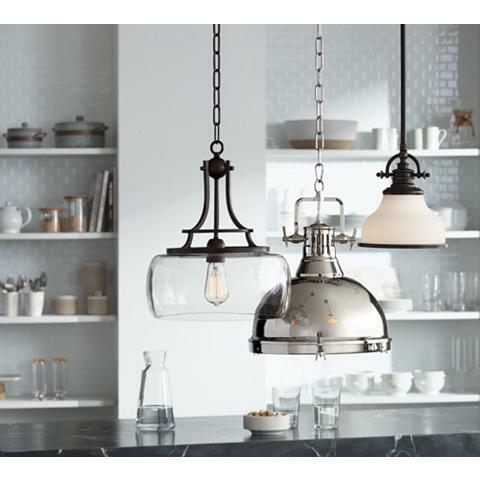 Industrial pendant lights can add an attractive vintage look to your kitchen. Another popular vintage look is the classic traditional style, which tend to be more elegant and ornate than industrial or rustic lighting, but offers the same old-fashioned charm. 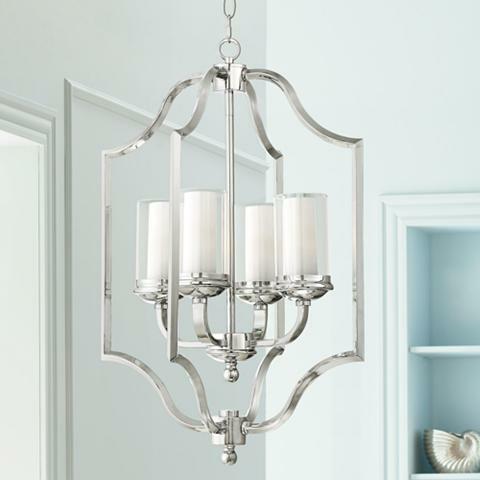 Traditional-style pendant lights can add an air of grace and elegance. But you don’t always have to go old-fashioned! 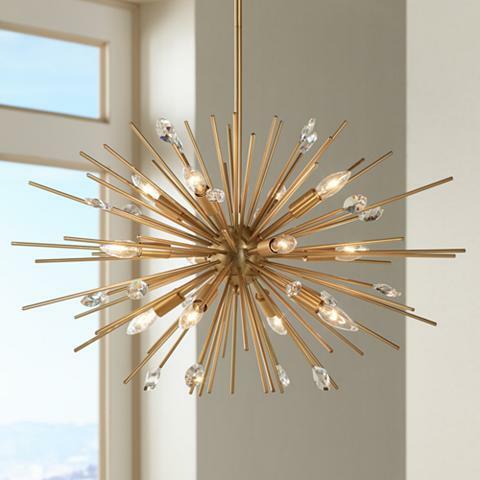 Contemporary pendant lights offer diverse styles of minimalist, modern, artistic, and avant-garde. Choose the look that best suits you. For a modern kitchen, consider a contemporary-style pendant light that creates personal and unique touch. Pendant lighting is the perfect choice for areas that need a little extra illumination for work – such as the kitchen. And with so many different styles to choose from you are sure to find the perfect pendant light for your kitchen at Lamps Plus.